This article outlines how you can deploy 32 Soft’s Data Loaders on QAD .NET UI interface. You can easily maintain the templates on your server in central location. Eliminates confusion with the template versions. User will always work with the latest template. No need to distribute loader templates to end users. We will use the Processes view of the .NET interface to display the available Excel Loaders for the users. 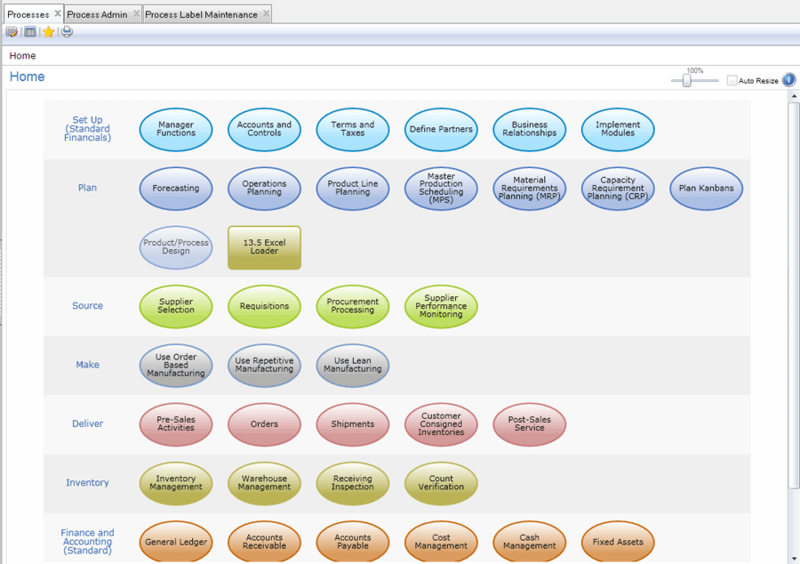 The Processes view can display nice icons and Data Loaders can be integrated into your own process map, or you can simply group them by departments. As the Processes view can be configured to automatically open up when user starts the .NET interface, it allows an easy access to the templates for the users. As the Processes view can only edited by Administrators you do not have to set it up on each user’s machine, just simply make a one time set-up as Administrator, and users will see the changes after the next login. Log in to the QAD .NET interface as administrator and add a new record in the Process Admin menu. This new record should be a reference to the location where the templates can be found on the server. 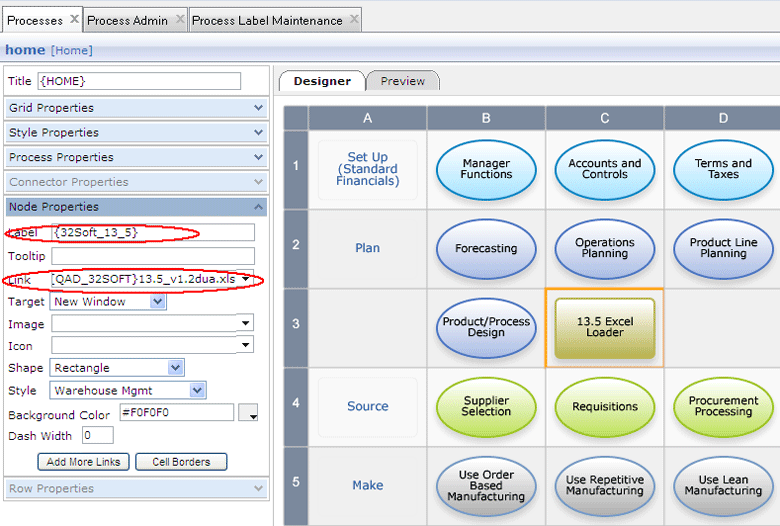 Add new records in the Process Label Maintenance menu and specify the labels for your Data Loaders. Click on the Edit Process button to start editing the Processes view. The Process editor will open up and you can redesign the whole screen based on your needs. When user will click on the icon on the Processes view the Excel loader will download from the server and open up the users PC. User will not be able to modify the template on the server, it will open up in read-only mode. Of course user will be able to down/upload data using the template from/to the database.